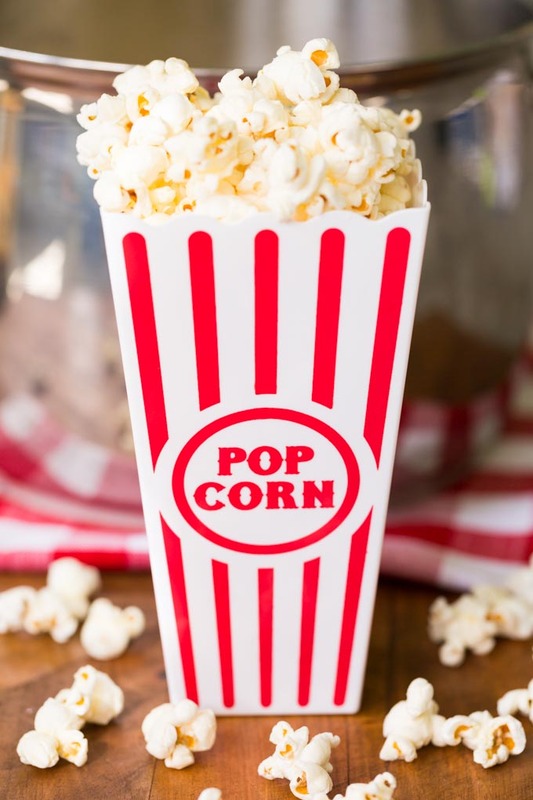 This movie theater popcorn recipe was sponsored by Bob’s Red Mill. All thoughts and opinions are my own. 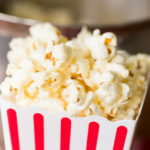 This movie theater popcorn recipe uses real butter for cooking AND topping! It’s more delicious than any movie theater popcorn you’ve ever had. I never quite understood the fuss about movie theater popcorn. Cooking oil that’s been in the popper since 1984 (and smells like it, too)? Weird fake “butter” that’s the entirely wrong shade of yellow? Count me out. What I do get is that popped corn, real butter, and salt makes a fantastic combination. It’s sublime. It’s even better if you actually pop the corn in butter, rather than using oil. Did you know you could do that? You can. Regular butter, right out of the package, might not be a good option for popping corn (it burns), but clarified butter works a treat. Of course you can clarify your own, but I prefer to keep a jar of ghee in the pantry for when the popcorn mood strikes. Ghee is a staple of Indian cuisine; it’s clarified butter that’s been simmered just a bit more, to remove all of the water rather than most of the water. That process makes it hardy enough to stand up to high heat cooking, like frying—or popping corn. In addition to ghee, you need top quality popcorn kernels. 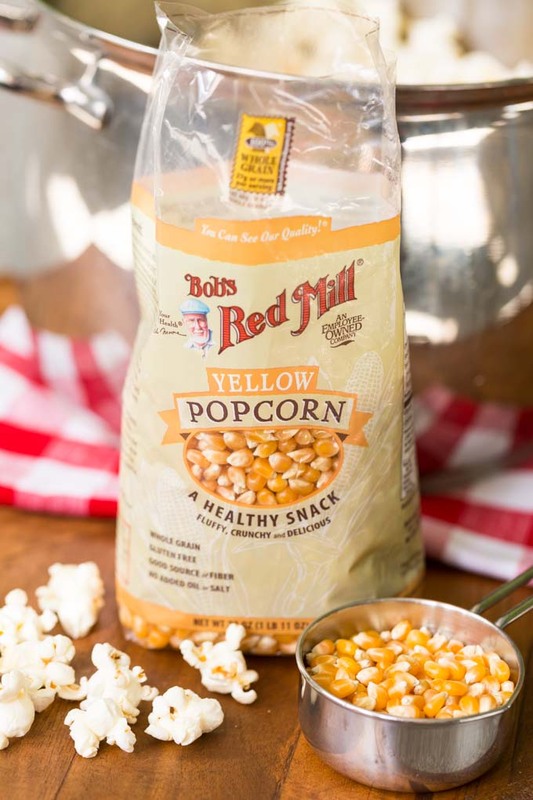 I like to use Bob’s Red Mill Yellow Popcorn. 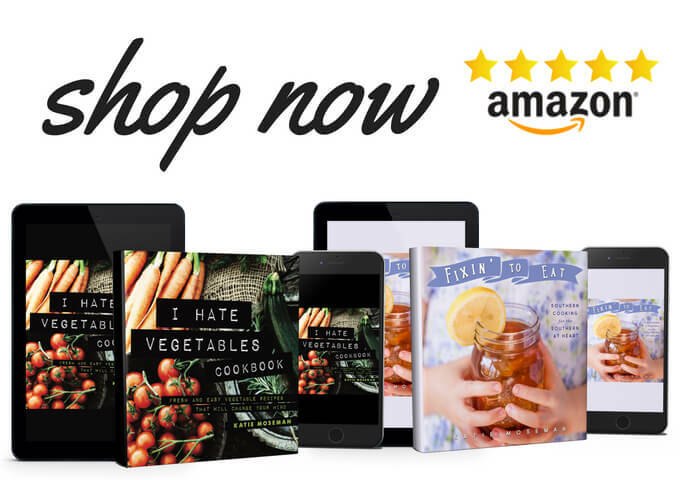 It’s carefully select from the best crops of corn, and it’s gluten free, too. 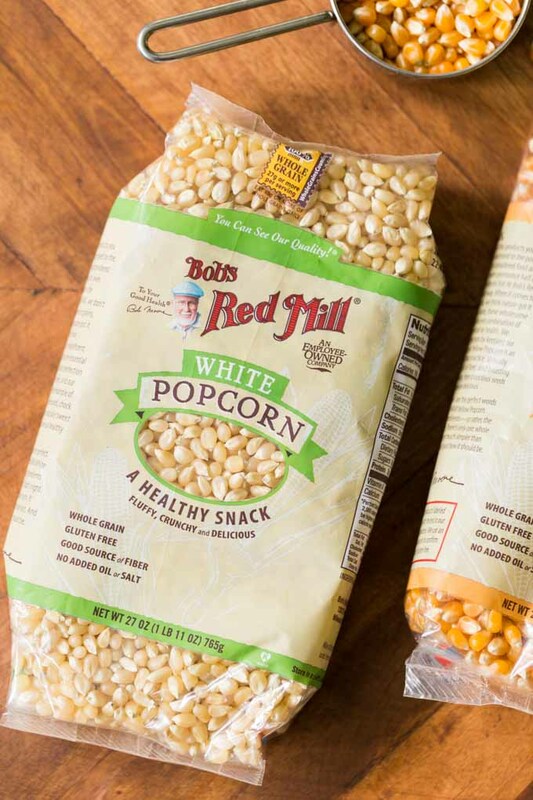 Sometimes I switch it up and use Bob’s Red Mill White Popcorn. 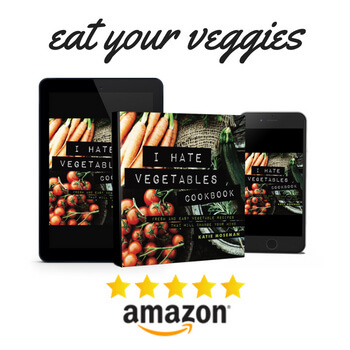 Either way, it’s a whole grain snack packed with fiber. Popcorn for the win! Finally, you need some popcorn salt. Popcorn salt has a very fine texture that sticks to the popped corn, unlike table salt or coarse sea salt. You can buy commercially made popcorn salt, or you can make your own for free. Use a spice grinder, a small food processor, or a mortar and pestle to grind your salt down as fine as it can get. Be sure to check out my other favorite recipe using Bob’s Red Mill products—this easy apple crisp! 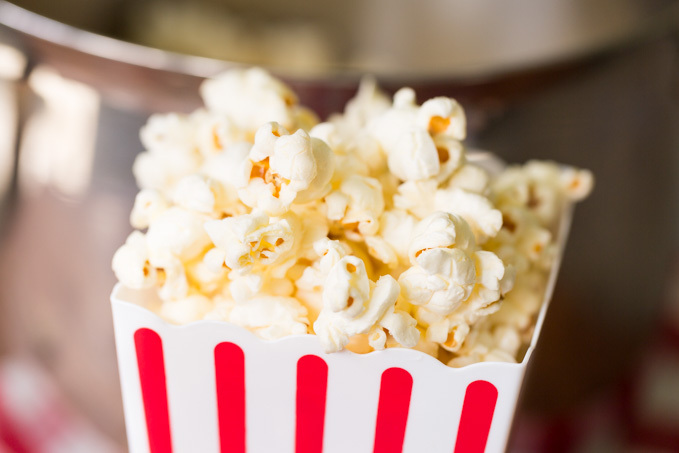 This movie theater popcorn recipe uses real butter for cooking AND topping! 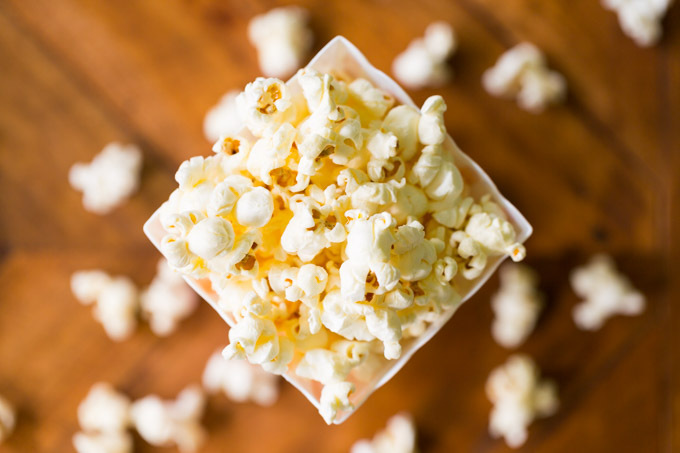 It's better than any movie theater popcorn—and it's all natural, too. In a large pot (Dutch oven sized) with a lid, heat 2 tablespoons of ghee over medium high heat on the stove. 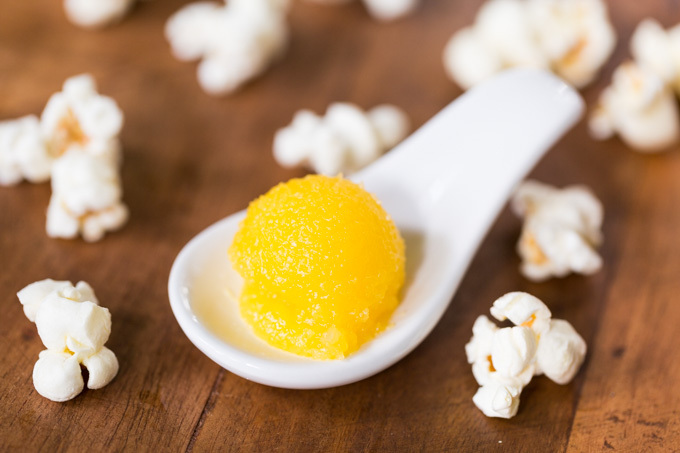 While heating, add 3 popcorn kernels; when these pop, you'll know the ghee is hot enough. When the 3 popcorn kernels pop, remove the pot from the heat and pour in the rest of the popcorn kernels. Cover, leaving a crack for steam to escape, and shake to coat the kernels in ghee. Place the pot back on the hot burner right away. Continue to shake the pot gently to keep the kernels moving. The kernels will begin to pop, then will pop rapidly, then will slow to a pop or two every few seconds. When the popping slows, remove the pot from the heat and pour the popcorn into a large bowl. Drop the other two tablespoons of ghee into the hot pot. The ghee will melt quickly. Drizzle the melted ghee over the popcorn, stopping to stir to coat. Sprinkle half of the salt evenly over the popcorn, then stir. Sprinkle the remaining salt and stir again. If desired, you can return the popcorn to the warm pot to keep the popcorn warm and to soak up extra ghee remaining in the pot. 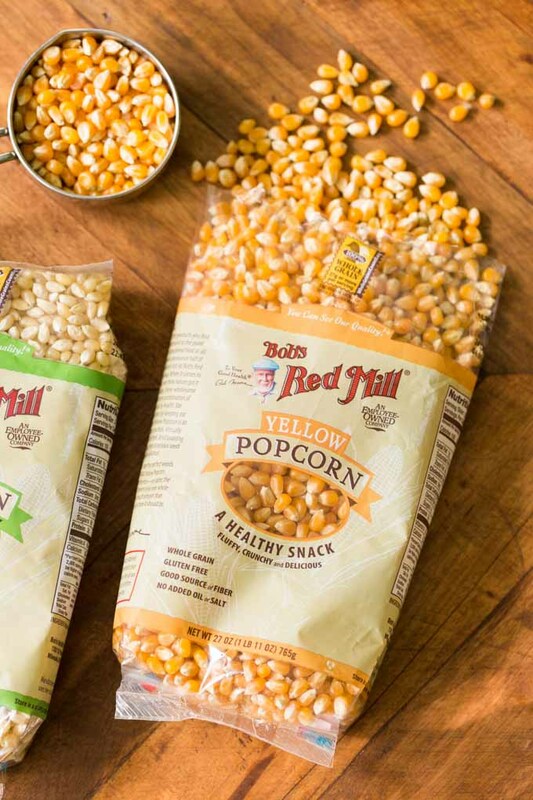 Shop for Bob’s Red Mill popcorn here. Love popcorn? Try these fun variations. 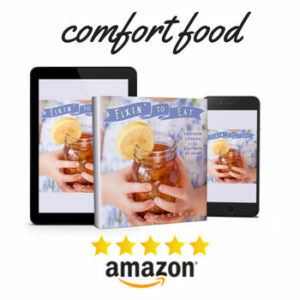 Where is ghee usually found in the grocery store? It is shelf stable and will be housed in the dry goods section, usually in the Indian foods section alongside jarred curry sauce and such. At Sprouts it’s next to the coconut oil.